When Andrew posed this question, I groaned a little inside. If he had asked me to pick my favourite T+T story in general it would have been easy. I could have picked one of our early ‘big’ reviews, such as Bruce’s BLNR review, or something harder hitting, like Andrew’s interview with then Omega President Stephen Urquhart. I’ve also got a real soft spot for more technical, or reflective, pieces, such as Sandra’s stories on the design of A. Lange & Söhne, or Justin’s recent investigation into the upcoming ‘McQueen’ Submariner auction. 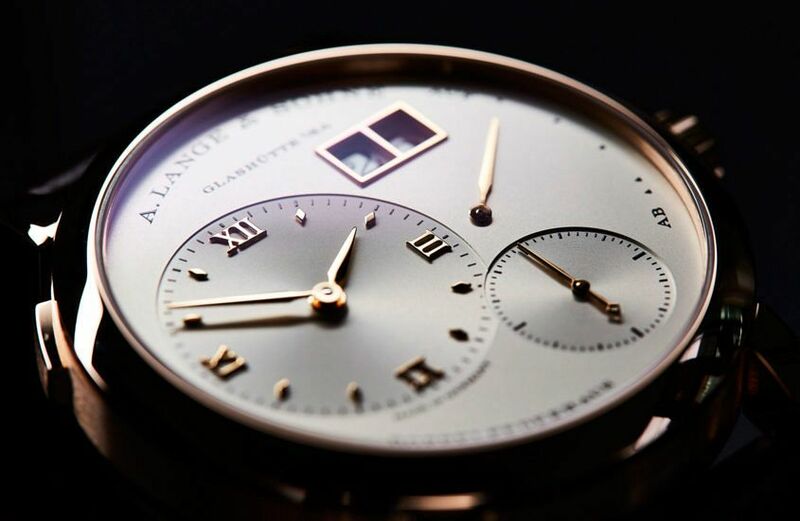 Felix is really proud of Sandra’s exceptional series on A. Lange & Söhne and design. But no, Andrew asked me to pick a story from among the ones I’ve written, which is hard for a few reasons. Picking a favourite is like choosing your favourite child, something made even more difficult given that I’ve written nigh on 1200 stories on T+T. And while I whittled it down to a few key stories that relate to great experiences (hey there, Seiko manufacture) or watches that really resonate (I’m looking at you, OP 39), in the end I went for something a little less obvious. My favourite story isn’t words, it’s video. And while I could have picked Rusty or Apple (both great videos that I enjoyed making), the one that sums it all up for me is my top 10 from this year’s Baselworld. It was recorded on one of the last days of the fair, and was pretty much a single take of me talking watches at a mile a minute, on very little sleep. If any eight minutes of video could sum up what my life as a watch journalist is, it’s these eight. Like Felix, I also groaned as soon as I pressed send on the email requesting team feedback. The story I was proudest of, with a good behind-the-scenes anecdote? Oh, man. Where to begin? I searched my own name on Time+Tide and clicked on the author page — falling immediately down a rabbit hole of memories. This 200-word assignment was meant to take 20 minutes. Two hours later, I’ve emerged from my last four years worth of posts, which flashed before me as I scrolled like a horological kaleidoscope — Jason Bourne and Thor and desperately un-famous me, on a boat in Monaco. A sad memorial for the people killed by terrorists during Basel 2016. And of course, so many beautiful watches. Just as many beautiful destinations. Being a relative newbie to the big and fantastical world of watches, it was actually my first Baselworld in 2016 when I finally got to meet the ‘Aussie Watch Army’ in person. Felix and I had been following each other on Instagram for a good while by then, and it was through this web-based banter that I had already taken on a couple of assignments for the site. Between the differing accents and varying shades of jet lag on both sides, we fumbled our way though some semblance of planning and captured this post welcoming me to the team. 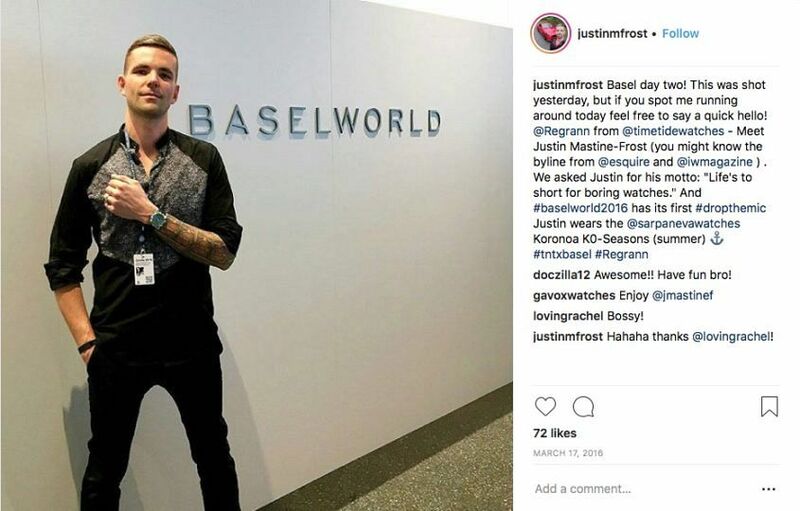 Justin Mastine-Frost started working for us in 2016 and he still hasn’t stopped. Five stories later (plus other freelance assignments), over the course of a short three days on the floor, it was clear that this wasn’t to be the end of my collaborating with my new extended #WatchFam from the opposite end of the globe. Narrowing down the work I’ve done for Time+Tide to a single piece that I’m most proud of is a tough one to say the least. I’m certainly proud of my digging into the facts and fictions behind the upcoming ‘McQueen Submariner’ auction, just as much as I’m proud of the recent (and much more playful) tale of my love affair with Batman. There’s also the matter of a series of ‘Best watches in price bracket X’ that all tracked in the Top 10 stories on Watchville, which was a rewarding feeling, though the topic itself wasn’t exactly earth-shattering. That’s the thing about writing with the beloved Aussie crew … while our voice is cohesive, our approaches can be unorthodox, playful, or insightful, depending on the circumstance. 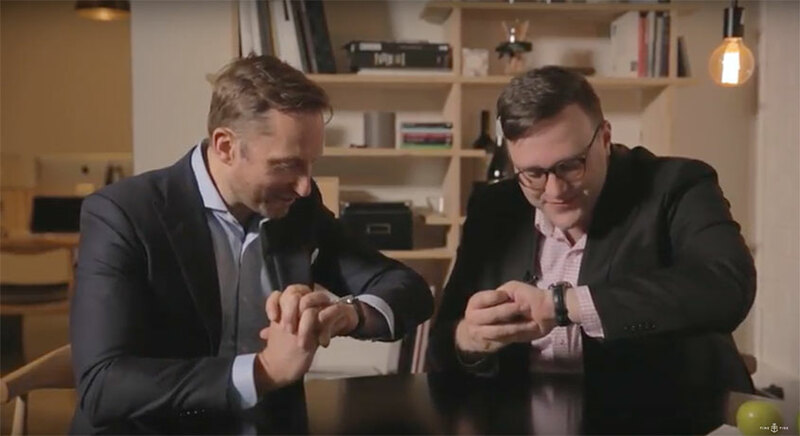 Between that and the absolute absurdity that is trying to stay serious on camera with Felix & Co. mucking about on day three or four of Baselworld and SIHH … Always a pleasure, and definitely always a laugh. My best memory contributing to the site is also my first one. Only newly aboard the Time+Tide ship, my initiation into the spontaneity and responsiveness required of the editorial team came about on Oscars day, my second week into the job. With standard workplace banter around the office revolving around winners, losers and nominees, I asked if the team were doing a watchspotting feature? Andrew casually suggested, ‘why don’t you do it?’ and with that I spent the next few hours cutting and pasting images, staring at wrists on the red carpet and piecing together words and images to ensure we were first to break the news. Daniel Senia was thrown in the Oscars-end with his first story. My very first Who To Follow with Black Badger. Why? Because it was the interview that fuelled a crazy series, which has since blown out into more than 50 interviews, with some of the most exciting watch collectors on the planet. I’ve had the privilege of chatting with film directors, athletes, fashion designers, engravers, the head of McLaren Special Operations, auctioneers, watchmakers, artists, authors — and, of course, the everyday collectors who underpin Time+Tide. This interview format started from humble beginnings and has grown to be something I love. It’s a pleasure to chat with (and occasionally meet) so many amazing personalities, and to hear so many fantastic stories. Andy interviews Black Badger on all things luminous. Felix tried to steal my laptop. 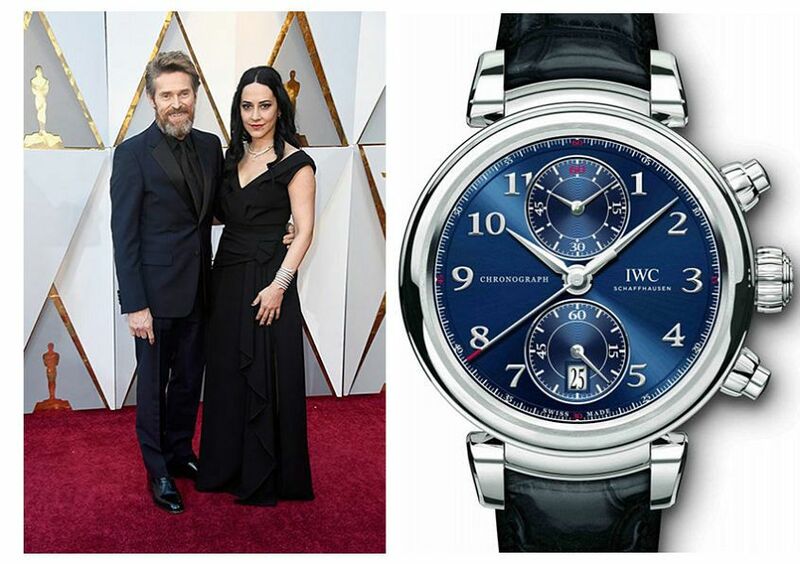 Hong Kong, September 2015, Watches & Wonders, IWC booth. Walked into a presentation room. Two Aussie guys already at the table. Instant recognition: the Immigration queue at the airport yesterday. My gut had told me they were watch guys and I had strained to see their wrists (as you do). “Bet they’re going to W&W,” I thought. Bingo! Presentation ended, Andrew and Felix left, I stayed to take photos. End of the afternoon, in the bar, there’s Felix saying, “So sorry, picked up your bag; it really was by mistake; how embarrassing; owe you a drink …” That’s how it started. It’s hard to pick a favourite post, but one thing I’m pretty pleased with is the set of Lange features – going really deep on an element that not many people even associate with Lange: design. My inner geek loves doing the research and – well – talking to those super-talented (and super-nice) guys in Glashütte and being forced to fondle those wonderful watches. Yeah, that’s a job. As one who’s never averse to soap-boxing on watch-related subjects, I’m very happy with the opinion piece I wrote last year: “It’s not an investment” – an opinion that becomes stronger as time passes. But for everything that encapsulates what our profession is – and what Time+Tide is – nothing can beat my first SIHH with the team. The crazy pace; the think-on-your-feet pressure to be insightful and incisive; the need to deliver copy of the same standard you – our readers – always expect and deserve, regardless of jet lag and sleep deprivation; and the sheer adrenaline-fuelled fun of working with this great team. Yeah, that’s actually a real job. As of writing, I’ve written exactly 100 posts on timeandtidewatches.com. A quick calculation puts that at 5% of the 2000. And every one was a banger! Jokes (and maths) aside, I like to think that’s a pretty good effort, considering I’ve only been actively contributing to the site for a smidgen over 14 months. 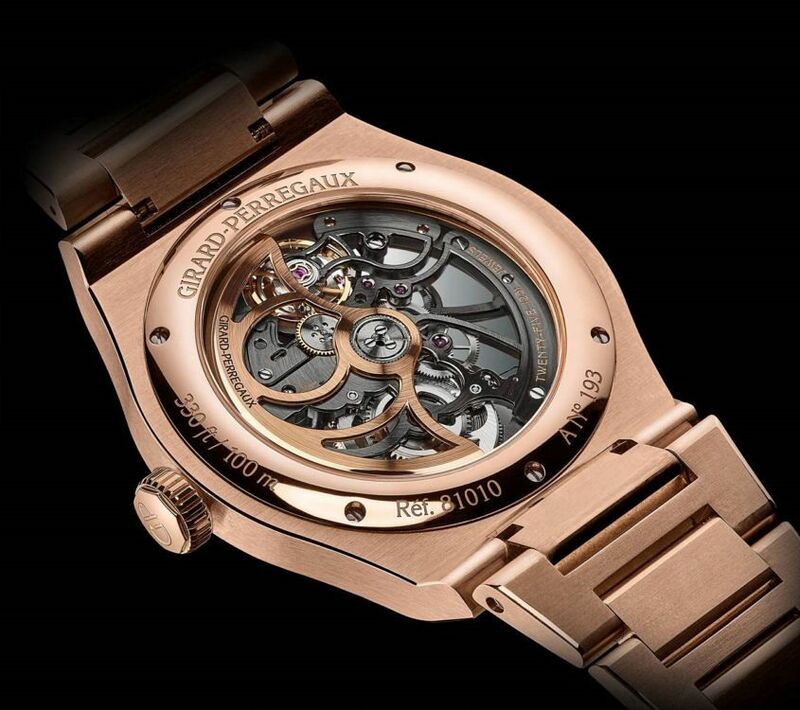 What started as a surprising DM from none other than Mr Felix Scholz – after he’d read a few of my own reviews and musings on various online watch forums – quickly turned into my first published write-up, about the Girard-Perregaux Laureato Skeleton. And that’s the one I’m proudest of. Not because it’s a piece of literary genius (I’ve come a long way since then) but because it’s the one that opened the door into this amazing industry that I had so wanted to be a bigger part of. Sure, being online means that the deadlines are tight and the landscape is ever-changing, but as a lifelong watch-guy, the content makes it all the more worth it, not to mention the odd trip to Switzerland. The Girard-Perregaux Laureato Skeleton, Cameron Wong’s first story.